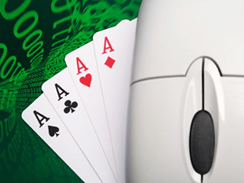 For some players, this is already fiendishly difficult to win when playing poker online. But hell, who apart from genius can be successful at a poker tournament? There are so many players, so many stakes and so much hindrances that we barely imagine how could one be victorious is such a big contest! One first advice it to remember that a poker tournament is always divided into three major stages. According to these stages and the circumstances, players might have to shift from one playing style to another. We are giving you more pointers in the text below. One first stage of the tournament will of course take place at the beginning of the game. Surely, you will never win the tournament during the early stages but if there is one very thing you can do all the same, it is surviving, avoid getting defeated by your opponents. In order to try to be the one last standing man, try not to play stupidly, do not choose the bad beat and dodge every attack of your rivals. One advice we can give you is to play the part of the passive player, which means that you should avoid any type of confrontation likely to make you lose quite a large portion of your stack. Aim at the smallest pots unless you are sure to have a more valuable hand than your opponents. After the early stage comes the middle one. Normally, all the best players will have made it this far even though you may encounter poor players who have benefited from a stroke of luck. These players are very tough to defeat because they have some sort of karma protecting them from the landmines smart players have voluntarily set up in order to get rid of them. Your objective will be now to opt for a new strategy. You are no longer aiming at surviving, you are aiming at hunting. This means that you’ll be compelled to play aggressively and need to tighten up in view of getting into the prize money. Doing this will enable you to collect your opponents’ antes and perhaps blinds and will put you in a comfortable situation before the last stage of the tournament. The late part of the contest is probably the hardest. You will need to be on your guard, stay wide awake and play the way that suits you best. The remaining poker players are either professional players or people who are running well. At any rate, you have to dash and play your best poker if you really want to splash out and defeat them. Whatever may come, you’ll probably need Lady Luck on your side to be successful during this last stage.